learning style – What Does The Fox Says? 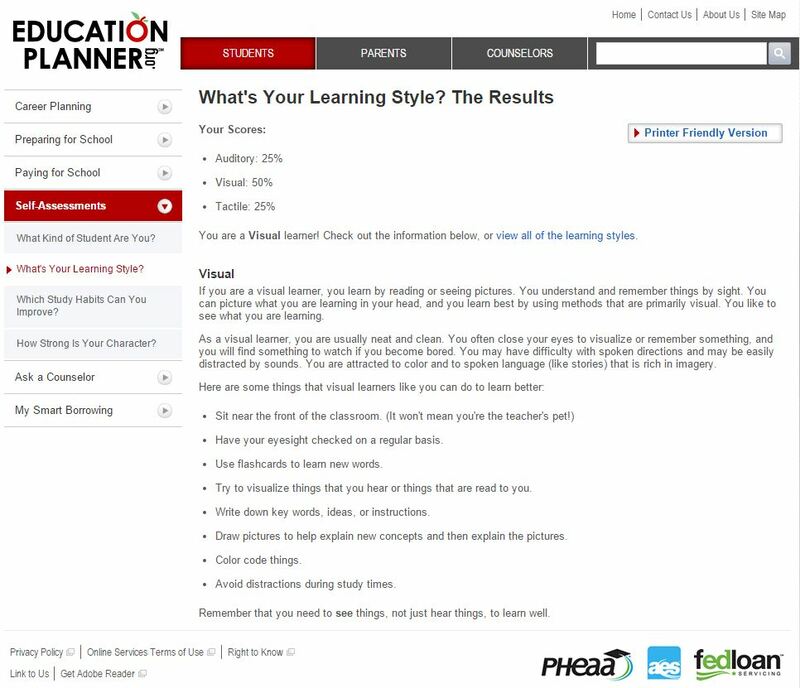 According to http://www.educationplanner.org/students/self-assessments/learning-styles-quiz.shtml, I am apparently a visual learner! Yet at the same time I feel that I also learn through sound and music as well. This is why I enjoy watching TV shows, animations and movies. I love moving images and a good example of that would be John Green’s Crash Course and his wife’s The Art Assignment on YouTube. I guess it is common for art-inclined student to be attracted to things visually and perhaps we could use this to help us study better. Perhaps adding interactivity (such as educational video games) can aid visual learners even better too.